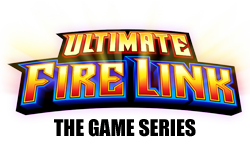 Ultimate Fire Link® – Glacier Gold™ is a thrilling new game in the Ultimate Fire Link series. The series showcases fast-paced, progressive games that offer players a heart-pounding slot experience! Like the other games in the series, Glacier Gold features a Free Games Bonus and the action-packed Fire Link Feature™, a thrilling lock & spin feature that builds breathtaking excitement with every fireball that lands on the reels! The Fire Link Feature is triggered by at least four Fireball symbols that lock in place and award three free spins. During the free spins, every new Fireball symbol locks in place and resets the free spins. When a set number of Fireballs are achieved, a new row is unlocked and added to the reels! Credit values and Progressive Jackpots are displayed on the Fireballs and increase in value as rows unlock. When no spins remain, the sum value of all locked Fireballs is awarded! In Glacier Gold, there is also a Free Games Bonus during which Fireballs award credit prizes and additional free games can be won!